"The Ancient Ninja Warrior's Time-Tested and Proven... Real Training, for Real People, in a Real World!" 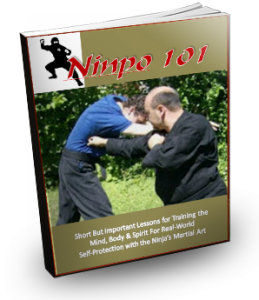 Get Access to Seminar, Ninja Camp and Dojo Class Videos; eBooks, Podcasts, and Exclusive Student-Only Resources, from One of Bujinkan Ninjutsu's Longest Training Practitioners and Master Teachers! 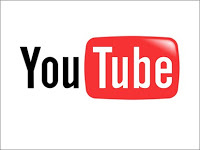 Get Your First Video-Based Training FREE! 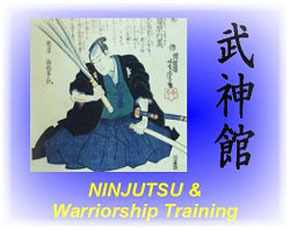 "Maximizing Your Ninjutsu Training Efforts"
You have the options of going through specially selected lessons from any of our programs, downloading ebooks, training workbooks, student worksheets and other resources like the Shidoshi's KUDEN podcasts, and recordings of his weekly coaching calls with his "Inner Circle" students - you can even enroll in the Ninjutsu Black Belt Home Study Course and earn your Black Belt (and above) in the Ninja's Self-Protection and Personal Life Mastery System known to most as Ninjutsu! Get it ALL, or just the parts you need now. No pressure. Now, you can train with Shidoshi Miller, one of the longest training Western practitioners of authentic, Japanese Ninjutsu - the self-protection & life mastery system passed down from our ancient Ninja forefathers of Iga - and you can do it from anywhere in the world! 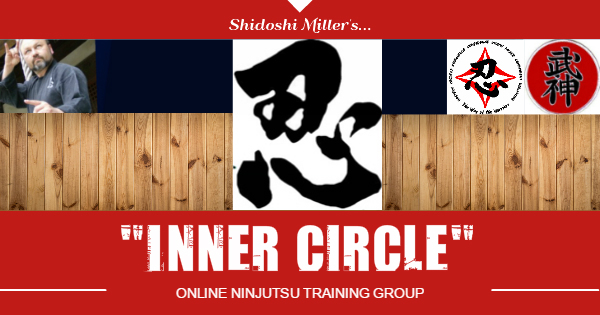 Shidoshi Miller's "Inner Circle" Platinum online Ninjutsu training program is one of the original online programs ever created for serious, long-distance students who don't have access to an authorized teacher, Ninjutsu dojo, or quality training where they live... and it's still going strong today, with students from the US, UK, India, Macau, Australia, Canada and many other countries around the world! Click the button to learn more about this powerful, life-changing and empowering program and then activate your enrollment to join Shidoshi Miller's "Inner Circle" Ninpo-Mastermind Program and start getting all the student benefits that come with membership! Find out why students who want to dive deeply into the art that is almost completely unavailable in Japan, and even harder to find here in the West, have chosen to be a member of Shidoshi Miller's "Inner Circle!" With 4 Levels of Membership to choose from, you don't have to wait any longer! Download & read online editions of Shidoshi Miller's books like, "Advanced Self-Defense Combat Tactics," "For Women Only," "The Karate-Myth," "Critical Mistakes Ninjutsu (and Other Martial Arts) Students Make," and more! As an active member, you will get new books, manuals and reports written and published by Shidoshi Miller before anyone else! And, if we obtain access to other useful books we think you'd benefit from, they'll be placed in your member library as well! 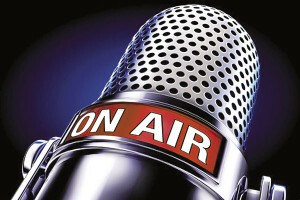 Listen to full episodes of "KUDEN," the podcast produced by Master-Instructor Jeffrey Miller and his long-time student, Shidoshi Eric White. Produced and designed to be both educational AND entertaining, this very popular show covers topics ranging from traditional Ninja and Samurai skills, to modern self-defense, and of course personal development and life mastery. Add to this literally thousands of hours of recordings from Shidoshi Miller's live coaching calls with his "Inner Circle" students over the past 5 years, and you have enough lessons to keep you busy with whatever you're working on! Hone in and target the lessons focused on what you're working on right now. Then, jump into the others as your interests and readiness change. Look, you're a student, right? So, wouldn't it be helpful if you had tools that allowed you to really "see" how your skills, techniques, tactics, and strategies work and relate to each other... just like in any other class or school? Well, Shidoshi Miller has you covered there as well! 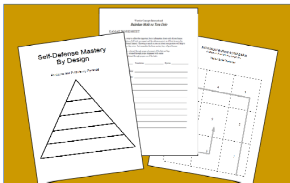 Download, print out and put to use in your own training all of the student worksheets and workbooks that Shidoshi Miller has designed to help students organize, visualize, and better understand this art. New resources are being added all the time, so you'll have access to each one as it's released! 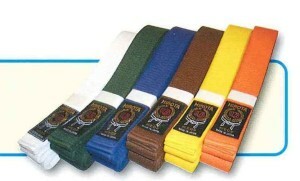 You can also earn training certificates by completing many of our stand-alone courses, like "Ninja no Hachimon," "Instructor Training & Certification," "How to Market and Run a Successful Dojo," and more! One of the biggest hindrances that stops well-meaning students from engaging in long-distance, online study of martial arts is the lack of teacher-student interaction. 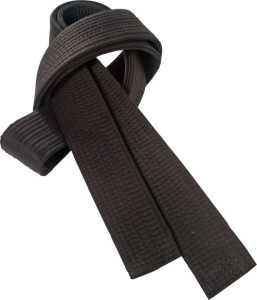 "Dojo training is best," is a common statement were here repeatedly from those looking for that bond and one-on-one assistance from their teacher. 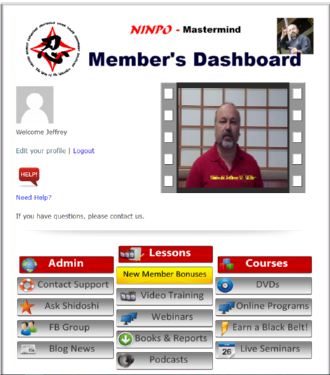 So, when Shidoshi Miller decided to create one of the first online Ninjutsu training programs back in 2008, the idea from the start was to include a feature that would fill this void and provide something that DVDs, and even forums and Facebook pages can't, and that is giving you, the student, real-time, interactive time with your teacher. So... depending on the membership level you choose, you get weekly or monthly coaching calls where you will get together via live phone conference with Shidoshi Miller and get your questions answered, see what your fellow students are working on, and even get additional lessons that dive deep into the art of Japan's ancient shadow warriors and go WAY beyond the mere punching, kicking, and such that make up the bulk of not only most students' training... but also makes up the bulk of most other Ninjutsu programs being offered! And we both know that Ninjutsu goes WAY beyond mere martial arts! Using the power of webinars (online webinars) and Facebook Live, Shidoshi Miller offers you both free and for fee additional lessons on special topics that you can choose from to help tailor your training to both your interests and your lifestyle. Depending on your membership level, you will receive information about upcoming training programs, classes, and seminars - and how you can get in on all the fun and training. In addition to all of the training available to you as an "Inner Circle" member right here in the "Ninja Mastermind", Online Ninjutsu Training Program, you will receive information and registration details so you can join us and be a part of upcoming seminars, bootcamps, and Shidoshi Miller's popular Spring and Fall Ninja Camps and New Year's Daikomyo-sai weekend intensives. And the BEST part is that, as an "Inner Circle" member, you receive 20 - 40% discounts off of the regular cost for these live training events. Now, who else does that?! 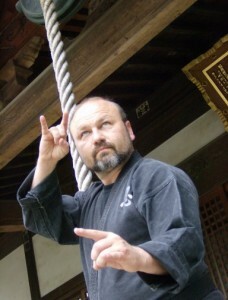 Shidoshi Miller (he never uses the honorific "Shihan" as a title, as is commonly and erroneously done within the Bujinkan,) has been training in the martial arts since 1975, and in Ninjutsu specifically since 1980. He regularly travels to Japan to train with Bujinkan Grandmaster Masaaki Hatsumi, and several other master-teachers. 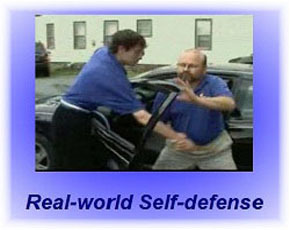 His focus has always been on self-protection and personal life mastery with regards to his training, and never merely to learn an ancient style of martial or meditative practice. Former bodyguard for government and high-profile dignitaries and celebritiesServed on teams assigned to protect a former US Secretary of Defense, the Commanding General during Operation "Urgent Fury" in Grenada, and several members of the Dallas Cowboy Cheerleaders, to name a few. Served as liason between both South Korean National Police and Germany Polizei in both drug and black market suppression activities. Worked in both uniformed and "plain-clothes" assignments. Specializing in surveillance, information-gathering, and undercover operations for both private and corporate clients. 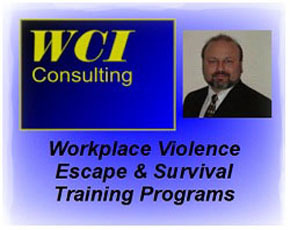 Teaching companies, universities, and medical facilities proven and time-tested techniques, tactics and strategies for keeping their facilities and people safe from everything from simple assault all the way to active shooter scenarios! A Career of Using The Timeless Lessons of the Ninja to Serve and Protect Others! He Has Used this Art to Face, Deal With, and Survive the Very Things That Bring You to the Training! 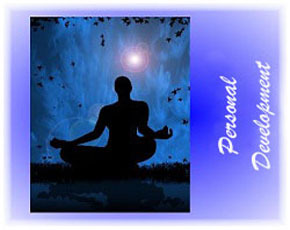 Create your personal profile as a member of the online Dojo! Direct access to lessons, courses, and more all in one place! Admin & tech support help should you have problems accessing your content! Need help with something? You have unlimited email coaching to get the answers you need! Join the conversations on our "Inner Circle" Facebook page, read articles from Shidoshi on the blog, and more! NINJUTSU: More Than Just Another Martial Art! Click on these images to learn more about other programs offered by Shidoshi Miller! "Ninpo Mastermind" Program member's area! Copyright 2019. Warrior Concepts International, Inc. & ModernNinjaWarrior.com - All Rights Reserved.